Tell me and I ll forget. br Teach me and I ll remember. br Involve me and I ll learn. This multiple choice test has been deviced for elementary students. I´ve used it in my 2 eso class. The contents are: subjects, daily activities, present and past simple and continuous, object pronouns, wh questions, clothes, food and drink, prepositions of place, many and much, there be, sports, modals, animals. Hope it´s useful for you. You can use it with any kind of student. It´s very visual. 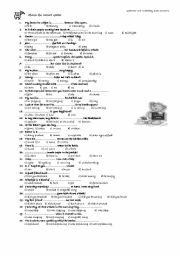 I´ve designed this worksheet to present vocabulary related to jobs and to practice simple present affirmative. I hope you like it! In this worksheet the students learn about English expressions that are usually used (a blow below the belt, a bitter pill to swallow...). 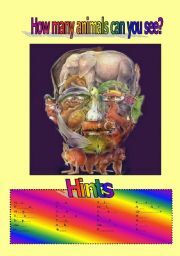 If you like it I´ll upload the other worksheets of this series. Key included. Here you have an animal contest for intermedate to advanced students. The first to discover and spell properly all the animals wins. Key included. I hope you like it!!! 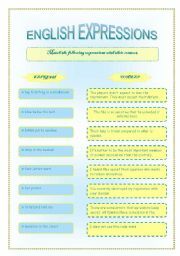 Here you have the second part of my series "English Expressions" Thanks to all those that downloaded the first part. This time I´ve included letters and numbers to make the correction easier as a member kindly suggested. I hope you like it! The next part will be about English proverbs. Don´t miss it! 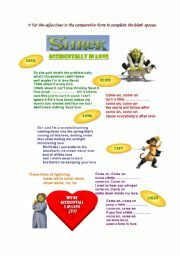 A worksheet to practice the comparatives while having fun with Shrek. Enjoy it! 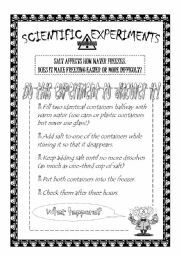 A series of easy scientific experiments that students can do at home as a reading comprenhension activity. I´ll upload two today,if you like it, I´ll continue the series with other experiments. Thank youuuu! 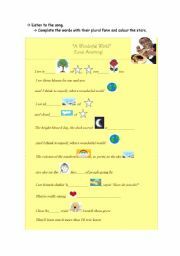 This is the second worksheet of the series to improve reading comprehension. I hope you like it! 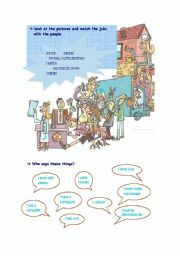 Here you have a very colourful worksheet to learn classroom language at the beginning of the year. It´s perfect for beginners or special needs pupils. Hope you like it! A Jeopardy game to practice present simple, present continuous, gerunds, ing form, adverbs of frequency and daily activities vocabu1ary.INTERACTIVE. Easy questions and answers included.25 slides!!!! Hope you like it, my students did! 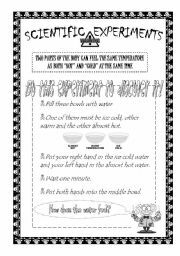 A Christmas carol for elementary students. The comprehension of the song is reinforced with images of the difficult words. I hope you and your students like it!